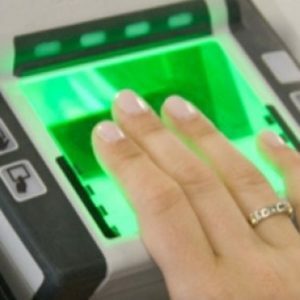 Available by appointment only, our LiveScan Fingerprinting services are for applicants and volunteers who must abide by current Florida statutes that require fingerprint submission to both the FDLE and the FBI. We are a Florida Department of Law Enforcement certified LiveScan Fingerprint provider for statutory regulated industries. We feature the same cross-match technologies L SCAN Guardian used by high-level government agencies, such as TSA, Immigration, and the FBI. Stop in or contact our Daytona Beach location to get your digital fingerprint scan done today! If you are unable to make it to your appointment, please contact our Daytona Beach office as soon as possible to cancel or reschedule. You must bring a valid state-issued photo ID and ORI number to your appointment. We will collect payment of the fees associated with the fingerprint submission AT THE TIME OF YOUR APPOINTMENT. We accept cash or credit/debit card. Please note: the prices listed below do not include sales tax or the credit card processing fee. If you are an employer and would like to pay the fees associated with the fingerprint submission on behalf of your employee(s), please contact our office to set up an account at (386) 319-2641.